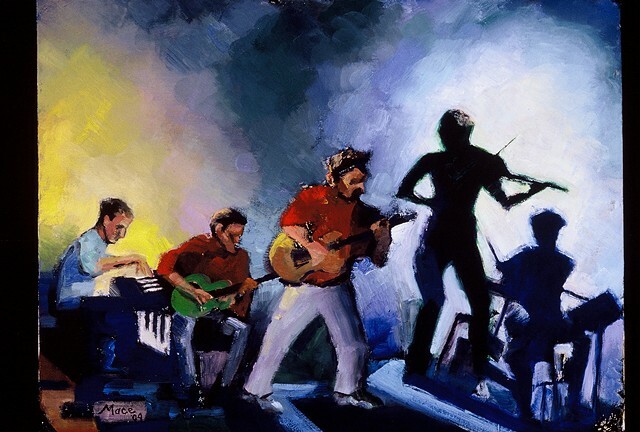 The fiddle player was a gypsy whose silhouette looked to be that of a young woman, but when she came off stage during a break to check out the progress of my painting, she turned out to be around sixty. This got me to thinking about shadows, and how someone's shadow can look a lot younger than its owner. Painted in 2004 at the "Alberta Street Arts Pavillion."